Want to learn about Brazilian culture for free? 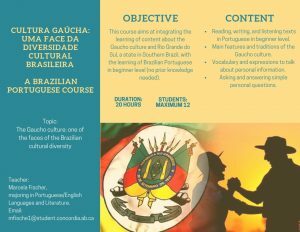 Register in our free, non-credit course “The Gaucho Culture: One of the Faces of Brazilian Cultural Diversity”. This course is open to students, staff and faculty.